INDUSTRY.co.id - Pekanbaru- Productivity of oil palm plantations managed by independent smallholders is still relatively low. That is around 16-18 tons of fresh fruit bunches (FFB) per hectare per year. On average, the FFB is only able to produce oil of around 1.5–2 tons per hectare per year. Not to mention the yield level is still below 20%. This was conveyed by the Department of Partnership and Smallholder of PT Astra Agro Lestari Tbk, Tidar Bagaskara, at the Partnership for Palm Oil Farmers (Nucleus Smallholder) Partnership Conference and Expo in Pekanbaru (09/19/2018). The age of old oil palm plants is one of the causes of the low productivity. In addition, according to Tidar, the pattern of management of smallholder oil palm plantations that are not yet standardized as well as infrastructure and unfavorable transportation management is also a cause. Therefore, PT Astra Agro Lestari Tbk develops a partnership pattern that suits the conditions of farmers to increase productivity. "Astra Agro has sufficient competence to increase the productivity of community gardens," said Tidar. According to him, all the competencies that Astra Agro has can also be developed for the community. "With Astra Agro's partnership concept, Astra Agro's competence can be enjoyed by smallholders," said Tidar. In the end, competence supports the success of the process of increasing productivity. The benefits of partnerships are felt by cooperatives and farmers. 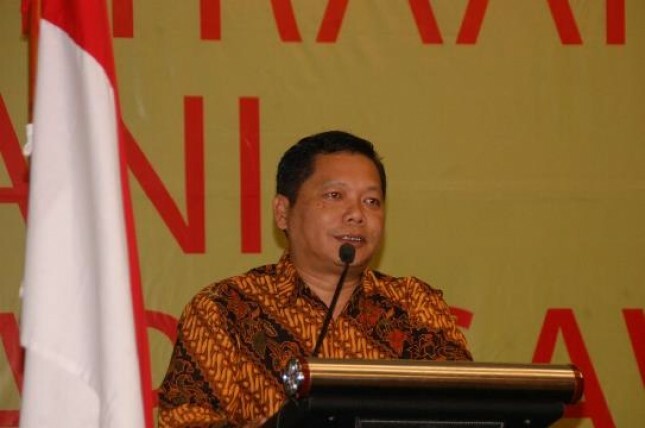 Riswanto, Chairperson of KUD Karya Mukti, stated, "Big farmers from partnerships. It is the Partnership that causes cooperatives (also farmers) to become strong. "His side is very helpful in managing the gardens. "The KKMT program helps us manage transportation, especially during high FFB," he said. KUDs that have obtained ISPO certificates also feel very helpful in managing the harvest. "Even Astra Agro's foremen dropped directly to oversee the harvest so that farmers' harvests are in accordance with quality standards," he said. "In addition to counseling in the field of cultivation, Astra Agro also provides other competency training such as the use of GPS to measure and determine the position of community gardens," continued the Chairperson of KUD who became the 2016 National Best Cooperative. Measurements using GPS are very important for cooperatives in order to support the Sustainable Palm Oil program and traceability principles.